Authorities investigating whether stabbing in southern Jerusalem terrorist or criminal in nature. 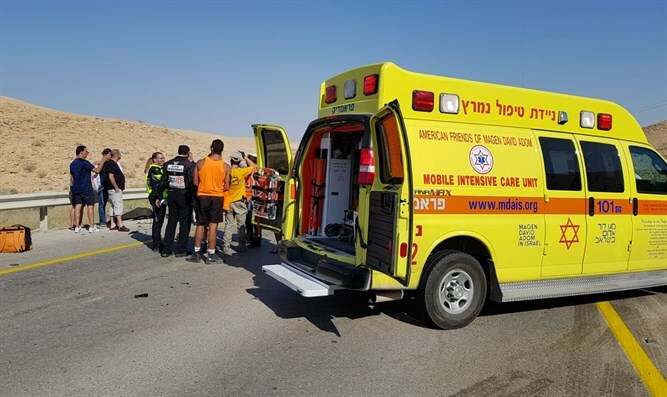 A 30-year-old man was lightly injured in a stabbing incident on Tuesday afternoon at the entrance to Beit Jala, near Mount Gilo near Jerusalem. The police and the IDF are investigating whether the attack was a terrorist incident or criminal in nature. The stabber fled the scene and searches are being carried out for locating him. The MDA team gave initial treatment to a man who was lightly injured and evacuated him to Shaare Zedek Medical Center, suffering from an internal injury.